Prefilled formalin vials are clarified containers that allow easy visualization of samples in the healthcare industries. They are popularly used where biopsies are done such as in pathology labs, operating rooms, and medical ambulatories. Their wide mouth, crack-resistant materials, and robust seal are some of the key attributes that make these prefilled vials suitable for the safe collection of specimen and their transportation. The role of formalin as tissue fixative drives its use in cancer diagnostics. Their use is gaining traction ambulatory surgical centers that need small biopsies. Growing efforts to constantly bring innovations in product lines are expected to create new avenues in the prefilled formalin vials market. The advent of inexpensive vials with varying volume capacities and their growing commercialization in emerging markets are underpinning the growing prospects of the prefilled formalin vials market. 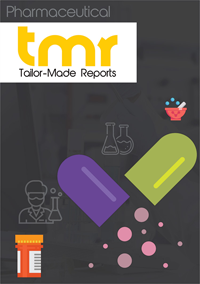 The report takes a critical look at key investment avenues in various regions and assesses the key growth dynamics shaping product development initiatives of key companies in the global prefilled formalin vials market. The study also analyzes the degree of fragmentation and consolidation prevailing in the market and the factors that will influence the intensity of competition in the coming years. The rising incidence of various cancer types across the world is a key factor driving the demand for cancer diagnostics. This, in turn, bolstering the demand for prefilled formalin vials in the healthcare industry. Prefilled vials also ease the usage since they are available in different volume ranges. Rising trend of occupational exposure hazards risks in workplaces in various developed countries, especially in the U.S. and countries of Europe, is a key factor propelling the expansion of the prefilled formalin vials market. The advent of novel product lines for their use in forensics is also fueling the prospects of the global prefilled formalin vials market. Rapidly rising popularity of prefilled formalin vials in laboratory-based histopathological diagnosis is expected to generate sizeable revenues in the market. The global prefilled formalin vials market is witnessing constant growth impetus from the rising demand in contract research organizations (CROs) in various countries. CROs are gathering substantial steam among pharmaceutical companies in developed regions, which is expected to provide a large fillip to the uptake of prefilled formalin vials. In addition, numerous top players are focusing on bolstering their retail and distribution channels. The market is expected to witness promising prospects from rising spending for cancer research. Growing volumes of funding grants by governments of various developing and developed nations, particularly the U.S., are expanding the potential of the prefilled formalin vials market. Growing number of clinical trials in developing countries are also reinforcing new prospects in the coming years. The study offers detailed elaborate evaluation of the outlook of key and emerging regional markets. On the regional front, developed nations are expected to be potentially lucrative markets over the next few years. In particular, the U.S. and economies of Europe are likely to generate promising chunks of revenues to the global market in next few years. The growth is fueled by the constant flux of new product lines, rising clinical research by CROs, and the presence of several prominent players. The report offers a critical look at the prevailing competitive dynamics. Pricing could be a key determinant of such dynamics. Prominent players are collaborating and entering into tie-ups with small companies in order to consolidate their positions. Several of them are focusing on increasing the footprints in the prefilled formalin vials market. Numerous manufactures are also shifting their focus on developing regions, in order to gain a competitive edge over others. Some of the top players operating in the market are Histo-Line Laboratories Srl, Magnacol Ltd., Genta Environmental Ltd., Cardinal Health, Inc., and Diapath S.p.A.